William Burroughs closed his classic novel, Junky, by saying he had determined to search out a drug he called ‘Yage’, a drug that could be ‘the final fix’. In The Yage Letters, a mix of travel writing, satire, psychedelia and epistolary novel, he journeys through South America, writing to his friend Allen Ginsberg about his experiments with the strange drug, using it to travel through time and space and derange his senses. 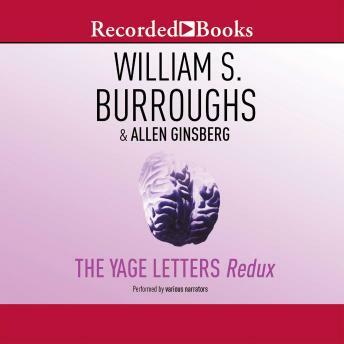 Burroughs’ letters reveal his desire to escape the norms of American society which hemmed him in, and the extraordinary steps he took to break free.